Sports scientists at the University of Derby are researching the effects of playing Wii Fit and other Nintendo titles on primary school pupils to see if playing the Wii can assist pupils in losing weight. "We hope this research will determine if playing on this equipment could actually have physical benefits for children," said Exercise Physiology Lecturer Dr Michael Duncan. It is a pleasant change from the (mostly tabloid-based) reports that link videogame use among this age group to Britain's so-called "growing obesity crisis". 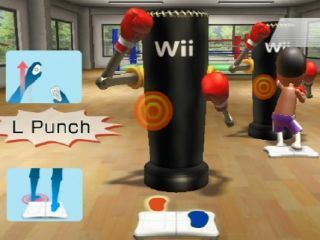 Pupils wear a pedometer that monitors the amount of energy they expend playing Wii Fit. The Telegraph reports that: "Taking part in games like tennis, golf or bowling on consoles such as the Wii can burn four times as many calories as playing more traditional computer games, enough to keep waistlines in check," according to scientists from the University of Hong Kong. "Players can burn up to 150 calories in 35 minutes while imitating the motions of their favourite sport stars in order to 'hit' tennis balls or 'swing' golf clubs, scientists found, roughly the same amount as a brisk walk."